Two weeks ago, I revisited Ratatouille – and while it sounds like a bad idea to draw inspiration from a movie about a rat running a kitchen, there was a scene that spoke to me. It comes from Anton Ego – the food critic and antagonist of the film – who questions the very practice of critiquing. He said, ‘But the bitter truth we critics must face, is that in the grand scheme of things, the average piece of junk is probably more meaningful than our criticism designating it so.’ Hasan Minhaj’s Netflix special, Homecoming King isn’t a piece of junk – but it’s definitely more meaningful than any review that I can write about it. Homecoming King is one long story about Hasan going to prom with an American girl in the town of Davis, California (where the special has been filmed). The first twenty minutes are about growing up in the United States with immigrant parents and the last half an hour focuses on his struggles to grab a foothold in the comedy scene. 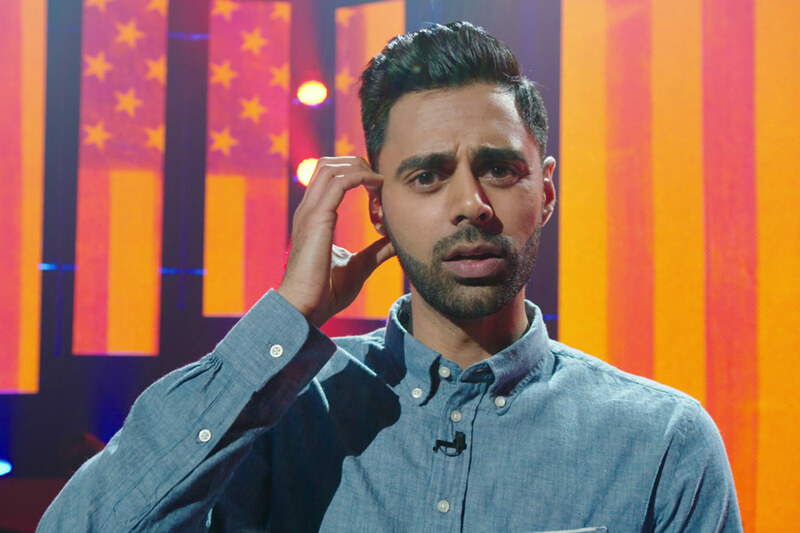 Homecoming King is an off-broadway show, and Hasan has performed it over 40 times before the recording the special. This becomes pretty evident when you’re watching it. Not only does Hasan know which jokes are likely to garner the most laughs and when to pause for effect, he also plays around with the directorial elements of the show. He looks into the camera at dramatic moments (which also happen to be the most memorable parts of the story), and even has a screen behind him that displays backgrounds to set the mood. Homecoming King shows the comedian actually speaking to the audience at home, and not just a live audience at the recording venue – it’s a small change, but brings a great degree of freshness into the storytelling process. None of this would have mattered if the story wasn’t as great as it is. Hasan perfectly sums up what it’s like to grow up in a middle-class Indian household (immigrant or not), the jokes around how much Indian parents care about birthday presents (not a lot), being ashamed of younger siblings (and stealing their toys) and what typical nights at an Indian home are like (complete with Kabhi Khushi Kabhie Gham… playing on Zee TV). The story about Hasan going to prom (which the show’s title is based on) and the 20 minutes that follow are a master class in storytelling – not just by stand-up comedy standards but even compared to movies or books. The story is simultaneously relatable, sorrowful, humorous, heart-warming and easily the most memorable part of the special. It is one of the most wholesome stories ever told on casual racism. Homecoming King packs in more heart in its 72 minute runtime than a lot of movies are able to pack in double that time. It is also backed by a stellar story, exquisite direction and a comedian who knows how to combine these to deliver a thoroughly impactful and hilarious work of art. I’ve had a few friends complain about how self-indulgent Hasan is, and how rehearsed the special seems. These points are not entirely untrue. I think it comes down to how open you are to experiencing a non-traditional stand-up comedy special. At the end of the day, I might concede that Homecoming King is not strictly speaking stand-up comedy – but it is, no doubt, special. Kevin is a full-time journalist and a part-time lover of video games, comedy, cinema and guitar, although sometimes he wishes things were the other way around. Read his reviews of everything comedy-related on Film Companion.